TOKYO (TR) – The U.S. Department of the Treasury has blacklisted four members of Japan’s largest organized crime group and two of its Kobe-based front companies, the department said in a statement on Tuesday. The Department’s Office of Foreign Assets Control (OFAC) has designated companies Yamaki K.K. and Toyo Shinyo Jitsugyo K.K. 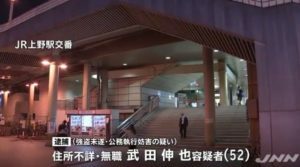 and individuals Utao Morio, Chikara Tsuda, Yasuo Takagi and Katsuaki Mitsuyasu pursuant to Executive Order 13581, which targets Transnational Criminal Organizations (TCO) and their supporters. According to the department, the move is intended to protect the U.S. financial system from negative influence of TCOs and to expose the companies and the individuals behind them. “By exposing this broad network of front companies and individuals supporting the Yamaguchi-gumi yakuza syndicate we intend to disrupt the global financial infrastructure of this illicit transnational criminal organization,” Mandelker added. Morio was the Chief Executive Officer (CEO) of Yamaki K.K. 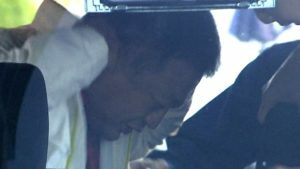 He is currently a Yamaguchi-gumi executive. Tsuda, also an upper-level member of the gang, is the current CEO of the company. Meanwhile, Takagi holds the same rank as Tsuda in the Yamaguchi-gumi. He also is the CEO of Toyo Shinyo Jitsugyo K.K. Mitsuyasu served as CEO of the company until 2016. After completing an executive position with the gang, he became an adviser to the Izu-gumi, which is a subsidiary. The moves by the department freeze all of the assets of the members in the U.S. and generally prohibits persons in the U.S. from doing business with them, the office said. 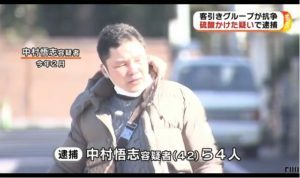 According to the National Police Agency, the number of members in the Yamaguchi-gumi last year stood at 10,300, a figure that is nearly double that of the nation’s number-two gang, the Sumiyoshi-kai. In the U.S., members of criminal syndicates from Japan have been accused of a number of crimes, including money laundering and trafficking in drugs. 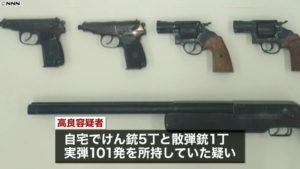 The department blacklisted gang members from Japan in 2015 and the following year.